The polar vortex hasn't stopped the hardworking analysts from Packaged Facts, The Freedonia Group, Freedonia Focus Reports, and Simba Information from delivering scorching hot market analysis. 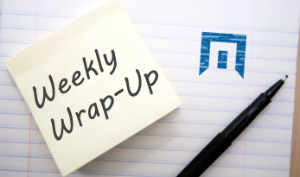 Check out this week's topics, which include demographic trends in consumer wealth, pet tech, the aviation market, packaging, and more. Weighed against a historical backdrop defined by discrimination and loss of financial opportunity, it might not shock anyone to discover that African American households hold a lower-than-average share of consumer wealth. But does an estimated 3% share of estimated 2019 U.S. household wealth surprise you? 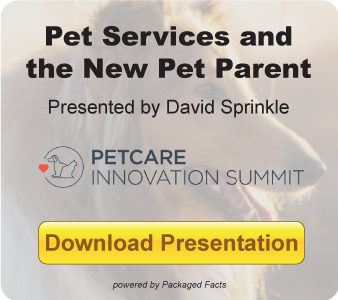 Check out some insights from Packaged Facts' upcoming report U.S. Pet Market Outlook 2019-2020, as featured in Forbes. Ultra-low-cost carriers have thoroughly disrupted the US airline industry with a new business model: discounted fares in exchange for stripped-down service. And they continue to enjoy significant success, growing at an annual rate of 15% during the 2010-2017 period. Consumers are demanding sustainable packaging, and corporate America is listening. A number of Fortune 500 companies - including McDonald's and PepsiCo - are working toward 100% renewable and/or recyclable packaging. Here’s a look at which packaging materials are in position to see the biggest benefits – and take the biggest hits – from this shift. Self-storage facilities are on the rise, particularly in the western United States. To meet this demand, service providers are getting creative, turning vacant commercial properties – the blight of the e-commerce boom – into conveniently-located self-storage spaces. That America’s water and wastewater infrastructure is aging past its useful service life is hardly news to major pipe suppliers. And new threats that place pressure on wastewater systems – such as rising sea levels – point to untapped growth prospects for sewer pipe suppliers. It seems like stand-up pouches are everywhere lately. Coffee beans, refills for hand soap, pet treats, and baked snacks are just a few of the products you might find packaged this way. According to a recent study from The Freedonia Group, US demand for stand-up pouches is expected to grow almost 6% annually through 2022. According to Simba Information, a number of key factors are driving the adoption of open educational resources in K-12 classrooms.